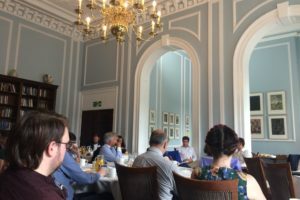 This month we were very excited to be invited to join NetXtra at one of their Breakfast Clubs – an opportunity to meet new people, learn new things, and impart a little of our own knowledge. Also, being a Breakfast Club, we were looking forward to being well fed and watered- did someone say avocado on toast? Yesterday morning Tom B, Dave, and Hannah made their way to the event, held at Carlton House Terrace in Westminster (very swish). Breakfast started at 8am – meaning an early rise for our Footprinters! 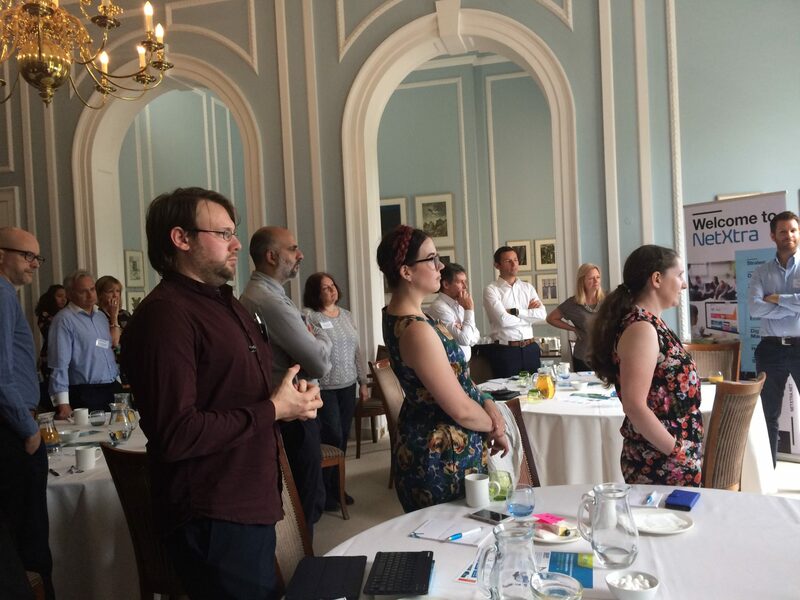 It was a brilliant chance (once they’d all woken up properly) to chat with other attendees from NetXtra, as well as Hart Square who conducted the first seminar – ‘Mind the Digital Gap’. Allen & Simon from Hart Square got us thinking about the challenges surrounding managing the expectations that modern members have about belonging to membership bodies and closing the gap between their expectations and reality. One example they used was how a membership body attempted to make membership more personalised through technology and more streamlined CRM/CMS. Their talk was followed by a roundtable discussion, which saw ideas bouncing around all over the place! 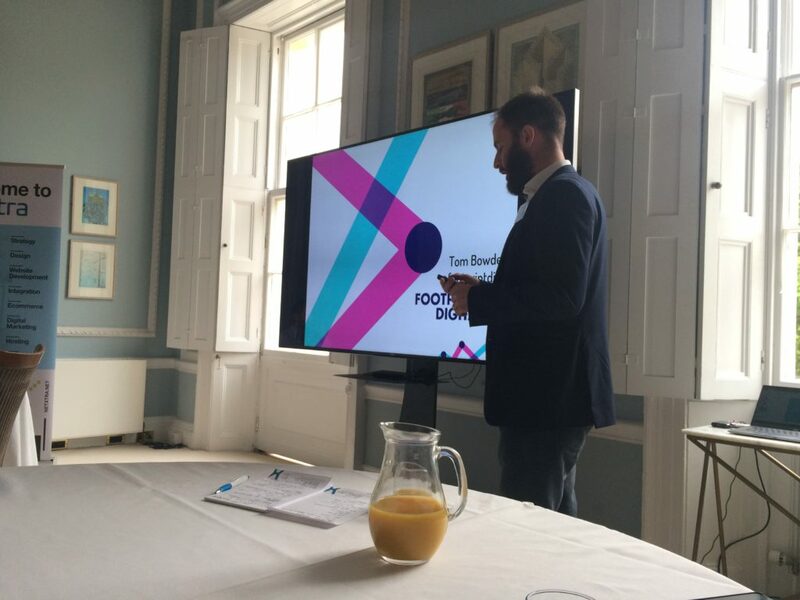 Next, Scott from NetXtra interviewed Rob Ilsley of TDS about ‘Minding the Gap’ whilst developing the CRM/CMS for their company. We found this interview really enlightening, with some great questions being asked, and it was clear from the off that a lot of people in the room felt that the challenges he experienced were fairly universal! Next, it was our turn to tell people a little about SEO. By this point in the morning (about 9.30), we felt people were awake enough to take part in a little quiz (you know how much we love a good quiz here at Footprint). Tom led the talk, and the quiz was designed to show people that there is often a significant gap between what we expect will work well on a webpage, and what people actually engage with. Even we are surprised sometimes with what A/B Testing shows us – you can never be sure what users want from a website without research & testing! He spoke about the benefits of A/B testing being partnered with SEO and analytics to help us close that gap and give users what they really want when it comes to websites. We want to thank NetXtra for putting on a brilliant event, and inviting us along. We had a great morning. We loved having Footprint involved in the event! Tom’s seminar was enjoyed by all, with lots of peoples perceptions being challenged and thoughts being provoked. Thanks Melissa, very kind of you!